National Health Mission, Punjab (NRHM Punjab) has released Notification for the posts of Senior Treatment Supervisor, TB Health Visitor having 137 vacancies on its official website nhm.gov.in. Interested and eligible candidates can Apply Online before the Last Date i.e., 18-02-2019. Required details like educational qualification, age limit, Selection process of NRHM Punjab Notification 2019 are given below. NRHM Punjab Recruitment 2019 – Apply through Online for 137 vacancies of Senior Treatment Supervisor, TB Health Visitor posts: National Health Mission, Punjab recently released a job notification on its official website nhm.gov.in for Senior Treatment Supervisor, TB Health Visitor posts. Candidates are allowed to apply for NRHM Punjab Recruitment 2019 from 01-02-2019 to 18-02-2019. 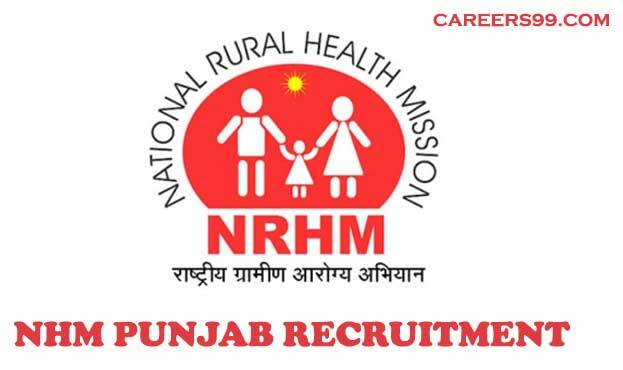 Candidate can find the further details like Eligibility Criteria, Age limit, the Selection process of NRHM Punjab Recruitment 2019 on the below page. Job Seekers can apply for the post through the Official page nhm.gov.in and careers99.com. Interested Job Aspirants who are ready to apply for National Health Mission, Punjab 2019 Notification must possess the below-given Eligibility Details. Selected candidates will get Rs.10,000/- to Rs.12000/- by the Recruiting Organization. First of all, Open Official Website i.e., nhm.gov.in or Below Mentioned link from careers99.com Website. Look for Apply Online Link on the Website. Fill All required Details in the form and Upload required Documents and Pay Application Fee if Required. Check and confirm your details before hitting the Submit button.